Michigan State: Will Michigan State’s stout two-point defense make Duke feel uncomfortable? While the Spartans have the second-best two-point defensive field goal percentage in college basketball, they have not played a team with a top 50 offensive two point field percentage. That will change on Sunday as Duke’s does very well inside the arc, led, of course, by the transcendental Zion Williamson. Michigan State’s defense especially excels at the rim thanks to the protection it gets there from Xavier Tillman and Nick Ward. Duke: Was Tre Jones’ big night against Virginia Tech a mirage that covered up the season long shooting deficiencies of Duke? After shooting 5-of-28 from beyond the arc in Duke’s six games prior, Tre Jones responded by knocking down five-of-seven from distance last night. Outside of Jones, Duke went just 1-of-13 from deep. 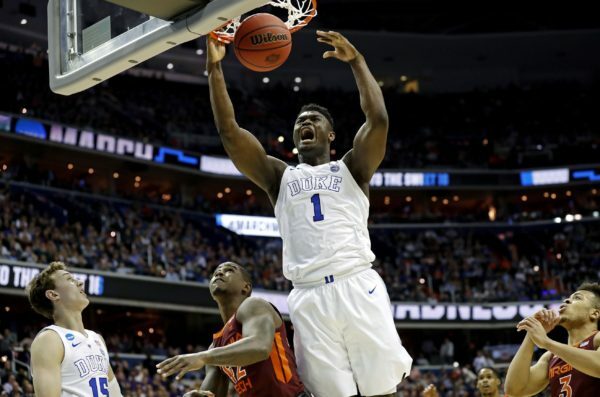 While the Blue Devils can go into any game expecting big performances from Zion Williamson and R.j. Barrett, they will continue to need someone like Jones to step up, especially if Cam Reddish is forced to miss another game. Auburn: Will Auburn continue to torch the nets from beyond the arc? Since a 7-of-25 performance from beyond the arc against Alabama on March 5, the Tigers have shot a sterling 40.1 percent from beyond the arc in making 40 more threes than their opponents. Auburn has been able to get many of those looks in transition, having already forced 46 turnovers through three NCAA Tournament games. Kentucky: While Auburn might dominate the the three-point battle, will Kentucky once again be too much for Auburn’s interior defense? In Kentucky’s two games against Auburn earlier this season, the Wildcats made 60.1 percent of their two-point attempts. With Chuma Okeke’s status unclear after what looked like a serious knee injury, the Tigers’ defense will have one fewer big body to bang with PJ Washington and Reid Travis in the post. 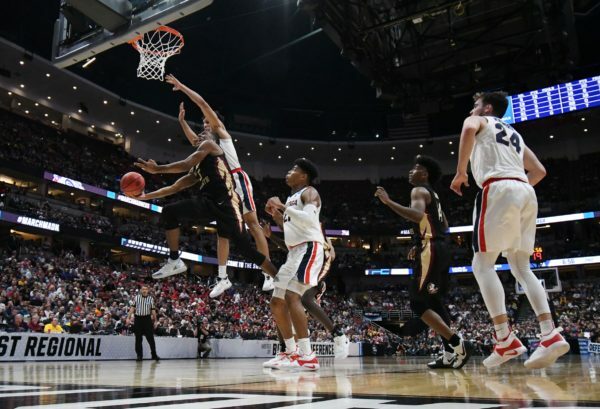 This entry was posted on Saturday, March 30th, 2019 at 11:41 am by Matt Eisenberg	and is filed under 10 questions, 2019 ncaa tournament, feature, Regular Features. Tagged: auburn, duke, gonzaga, kentucky, kyle guy, michigan state, Nick Ward, purdue, texas tech, tre jones, virginia, Xavier Tillman, zion williamson. You can follow any responses to this entry through the RSS 2.0 feed. You can leave a response, or trackback from your own site.